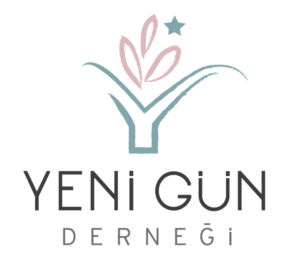 The Yeni Gün (New Day) Association was founded in 2015 in Ankara with the aim of supporting and spreading sustainable development throughout Turkey, developing civil society in the country, supporting human rights and responsibilities, education and employment, strengthening public health, supporting the formation of healthy generations, promoting culture, art and tourism and contributing to environmental protection. Carries out works for the strengthening of the civil society. It aims to develop civil participation in decision-making processes with the aim of strengthening civil dialogue and ensuring the more effective functioning of non-governmental organizations (NGOs). Carries out work to raise awareness about human rights. It conducts work on strengthening public awareness throughout society, necessary for the defense of all types of human rights including the rights of women, children and the disabled people. Carries out work to support education and employment. It conducts work likely to increase the enrollment rate of children and young people, in particular girls, to strengthen the talents and professional skills of the workforce, including girls, women and disabled people, to strengthen gender equality in society and the participation of women and disabled people in social, economic and political life, to support all types of education, entrepreneurship and employment. protection and support of babies, children and young people in particular. Carries out works to promote culture, art and tourism. It conducts presentation and support activities that can help protect the cultural and historical values and assets of our country, and present the country nationally / internationally, support arts activities and increase tourism revenues. Carries out works for environmental protection and the development of environmental awareness. It conducts work aimed at preventing environmental pollution in the country and relating to environmental protection and the development of awareness about environmental protection among young people and children in particular. Anyone who has reached the age of 18, having the jurisdiction to benefit from civil rights, having no prohibition and disability in accordance with the law of associations, having adopted the purpose and terms of the association may apply to become a member of the Yenigün Association.